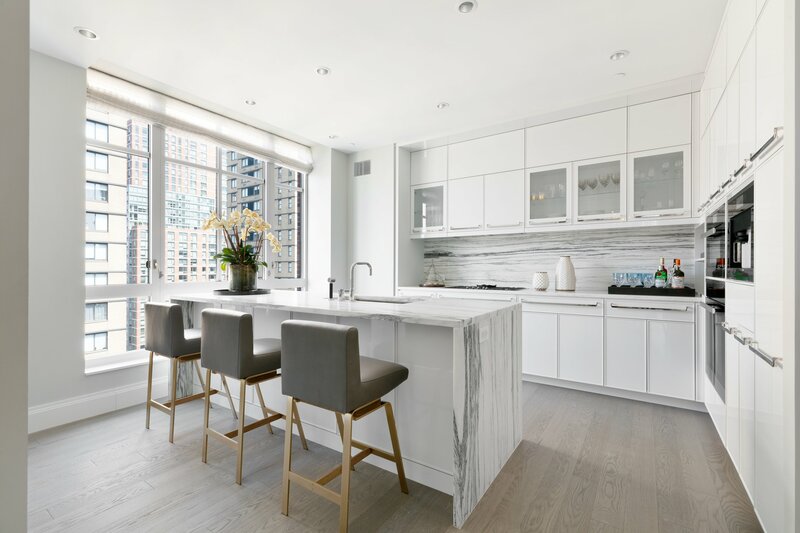 The interiors of the two-to-five bedroom homes have been meticulously appointed and offer a degree of customization allowing owners to personalize their residence including flooring and kitchen finishes. Graciously proportioned, these homes are filled with natural light with oversized corner windows and elevated ten to fifteen foot ceilings. Distinctive finishing details include custom millwork and hardware and a choice of Ebonized or Brushed Oak flooring throughout. "our experience in understanding the sophisticated lifestyles all around the world allows us to create bespoke elegant designs. 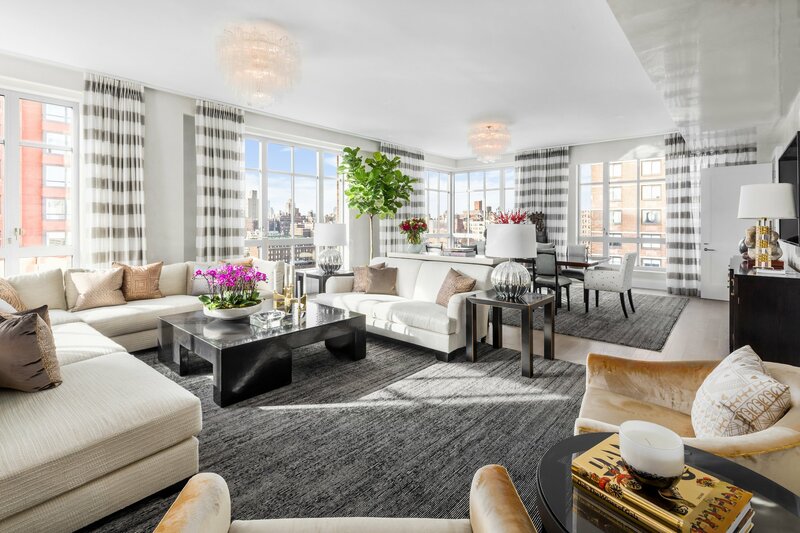 we approached this project by embracing the refined magnificence and unparalleled elegance that defines the upper east side. the design is inspired by the richness, eclecticism, and boldness of the art deco style, refined with modern aestheticism." The Extell Choice provides owners the rare opportunity to choose from a range of fine finish selections. 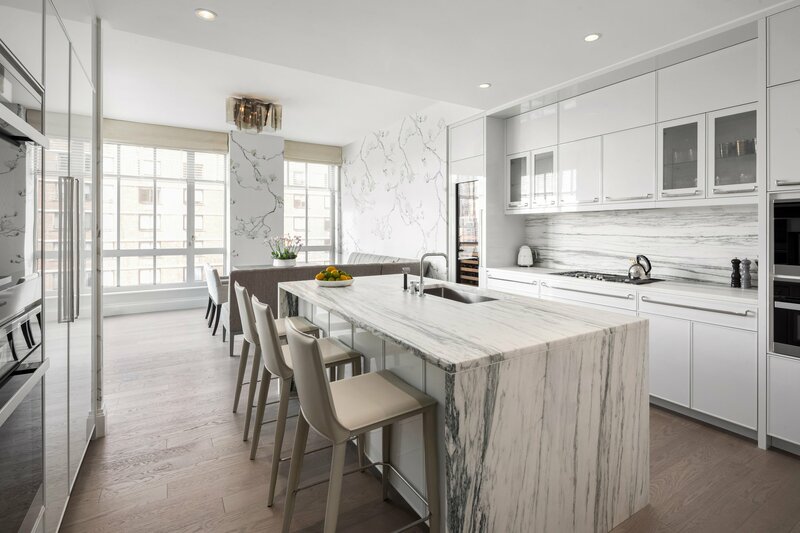 Two elegant color palettes, Ivory and Onyx, incorporate custom kitchen cabinetry with metal mesh accented upper glass doors, integrated Miele appliances, Sub-Zero wine storage (in most residences), and premium Dornbracht fittings. 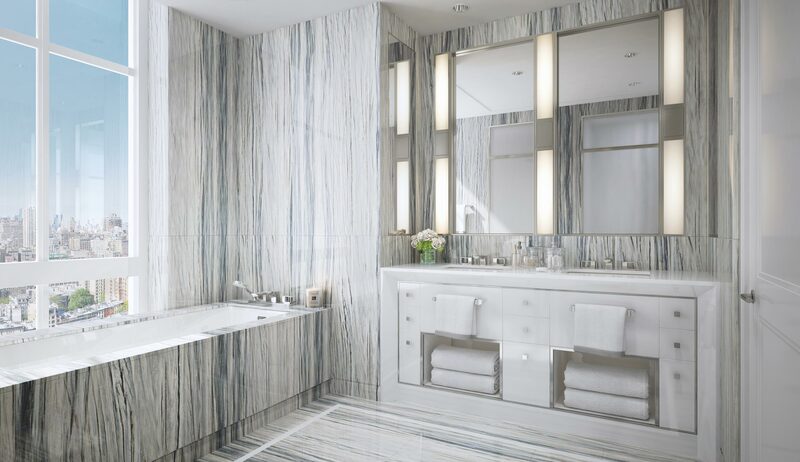 Clad in Alexis Azul marble with Bianco Dolomiti accents, the master bath features a stepped ceiling and Axor designer fittings and accessories by Patricia Urquiola.